This suggested language is dynamic and will be updated and modified over time. 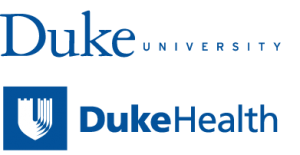 It is intended to be a guide for Duke Health study coordinators. It is not template ‘pop-in’ language and should always be used in context of the specific details of the research study and modified by the study team as needed. This may serve as a guide for how to consider risks and put appropriate statements in the consent form, but not all of it will apply to every setting and some situations/risks are not covered in this current draft. This language should be used only as a guide to draft language to be reviewed and vetted by Duke Health IRB who has authority to approve consent form language. Any specific promises study teams include in the language (e.g., we will delete your data, we will tell you how to remove, we will restrict content, etc) must be performed by the study team as indicated. Download the Mobile App Standard Language document on the IRB Mobile Apps, Devices: Information Security Suggested Language page.